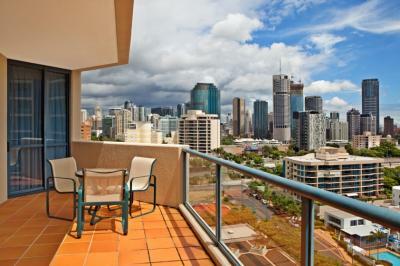 Offering some of the best views of Brisbane CBD and Brisbane River, Central Dockside Apartments offers one and two bedroom apartments each with a balcony offering sweeping city views. 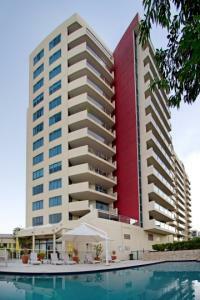 The 4 star Central Dockside also offers outdoor pool, FREE parking and FREE WiFi during your stay. 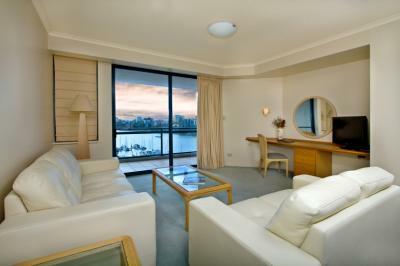 Each apartment features a fully self contained kitchen, internal laundry facilities, separate bedroom and living areas and spacious balcony. 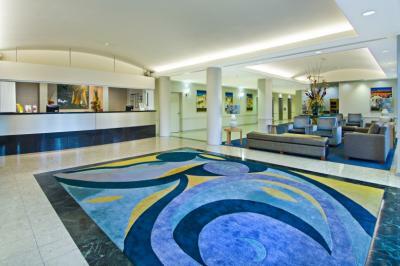 The hotel is just 30 minutes from Brisbane airport and a few minutes walk into Brisbane CBD. 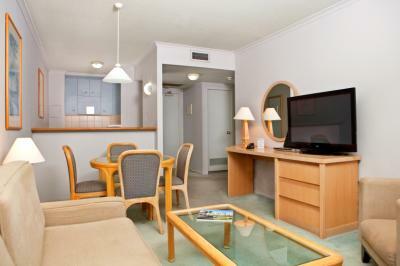 Ideal for long corporate stays looking for a comfortable home away from home. Directions to parking: Central Dockside offers One complimentary undercover carpark only for each unit opposite the hotel. Additional pay parking available onsite for additional vehicles. 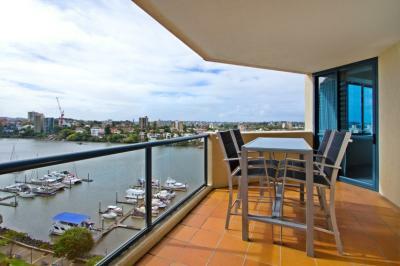 Local restaurants and bars, River Boardwalk, River Cruises, Kangaroo Point Wildlife, Kangaroo Cliffs, Eagle Street Pier, The Gabba, Dockside Marina, James Warner Park.